So I decided to give you my take on avocado toast. Drizzled with soy sauce and sprinkled with Furikake or Shichimi. 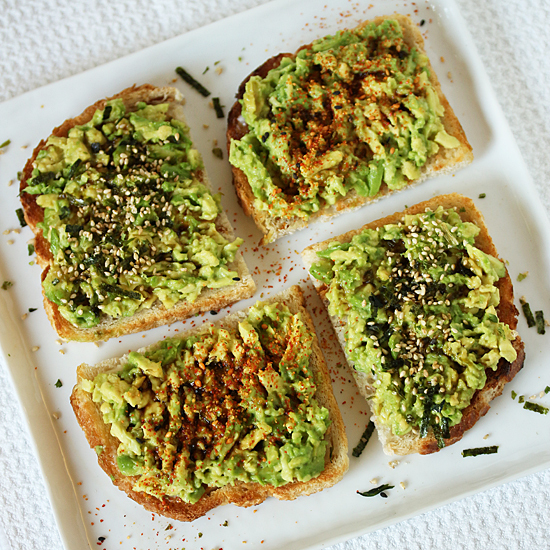 Avocado and soy sauce are a match made in heaven, to my mind. Just think about California Roll Sushi. If you have been following my recipes, you may have acquired some Nori Komi Furikake to make Hawaiian SPAM Musubi. That mixture of dried nori seaweed, salt, sugar and sesame seed is amazing with the avocado and soy sauce. Then if you want to try something a little different, a little spicy, the Shichimi Togarashi is a blend of dried red pepper, dried orange peel, black and yellow sesame seed, Japanese pepper, seaweed and ginger. Either way, really delicious, interesting and easy. I grew up in Minneapolis, Minnesota in the 50’s and 60’s and I don’t remember there being an avocado in sight at any time. Nope, no avocados. I experienced my first avocado after moving to Los Angeles in 1971. My then-husband and two little kids moved to Inglewood, because he worked for city hall and we were required to live in the city. We lived in a dinky 2-bedroom apartment, which had a wonderful bonus: the next-door neighbor had a massive avocado tree that hung over the wall of our driveway. They also had chickens that woke us up every morning, but it was worth it for the free produce. Massive amounts of avocados. 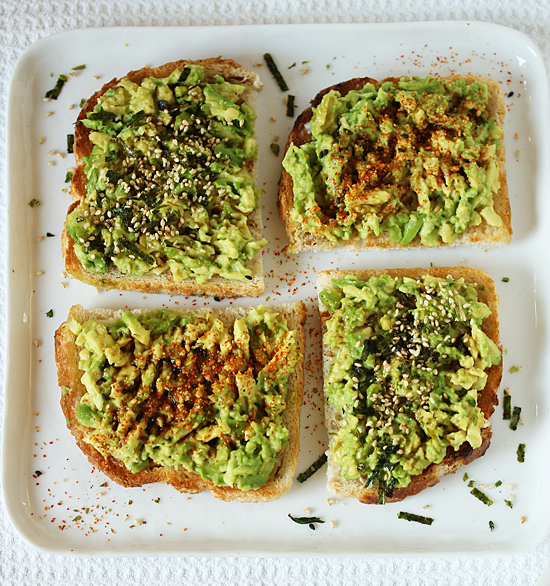 Thus began my love of avocado toast for breakfast, although back then it was just sprinkled with salt and pepper. 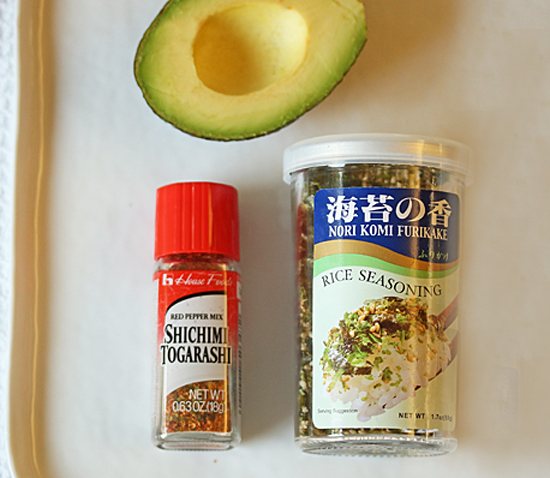 After I wrote this post, I thought I would see if anybody else, on the off chance, had sprinkled their avocado with Furikake. Well, I have to laugh at myself, there is really nothing new under the sun. My google search turned up 53,400 results and a plethora of images. But it also means it’s really good and you should try it. Oh yeah. Toast your favorite bread and spread with butter. Place half to quarter slices of avocado on toast and mash with a fork. Drizzle with soy sauce and sprinkle with Furikake or Shichimi Togarashi. I grew up in the Midwest and never had an avocado there. It probably explains why I eat one avocado a day with a fried egg on top. It is time to kick it up to the next level with some soy sauce and fun seasonings. Ok, I don’t know what furikake is. I can’t believe 53,000 people know more than me. 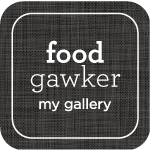 That puts me at the mid to bottom percentile of savvy eaters.